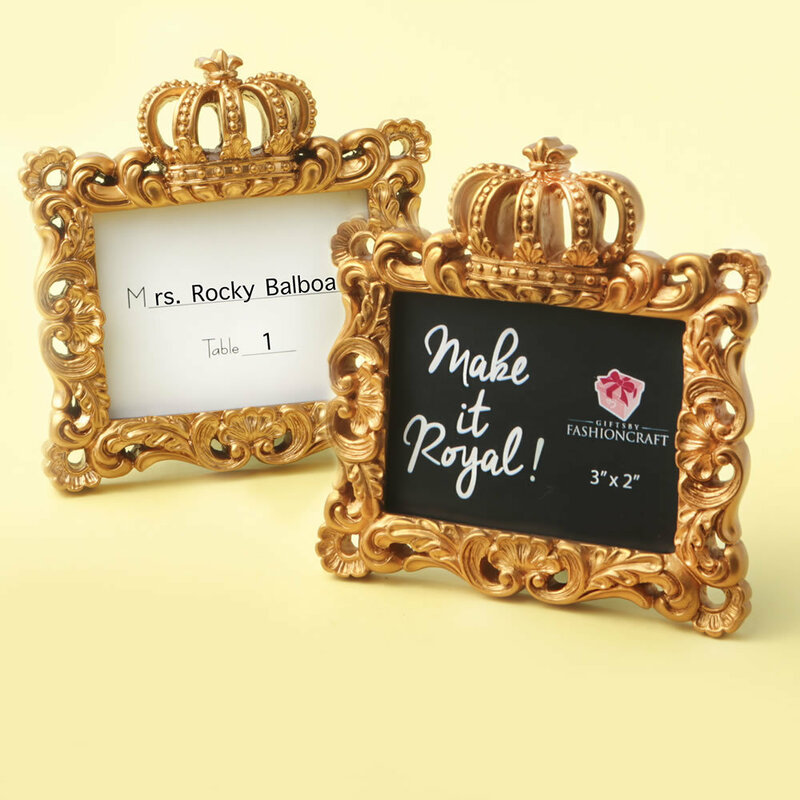 Turn your event into a royal occasion with these stunning Make it Royal frames. They can be used to indicate seating arrangements and can be taken home by your guests as a favor to frame a special photo of your occasion. A touch of Royalty for your King and Queen, Cinderella, Fairytale or Princess themed event. The frames are also perfect for Prom Nights and glitzy Gala occasions! Our Vintage Baroque style frames are made from molded poly resin with a matte gold finish. A beautiful intricately scrolled Baroque design goes around the frame and on the top is a stunning three-dimensional Royal crown design. The frame holds a 3x2" photo. It has a black craft paper hinged easel back with black tabs for easy insertion of a photo or place card. A blank placecard for seating arrangements is included. The frame is packaged in a white gift box.